Ok, the title says “convert from Word to pdf free”, but the create pdf free download utility that I will show you here will also allow you to convert Excel to pdf free and merge pdf files into one. Basically, you will be able to convert a file to pdf, no matter what type of file you are working with. It will even work if you need to convert Autocad to pdf. Pdf convert software comes in two main forms: there’s the option to convert pdf online and you have the create pdf free download software (Well, ok, there’s also the pdf creator file software that you have to buy, but for most “normal” users, the free pdf convert software will do as they don’t need all the whistles and bells from the paid version). The option to convert to pdf online is ok if you only occasionally need to create a pdf file and you don’t want to download and install another piece of software on your computer. But it’s good to realize that you do need a good, reliable online pdf converter service that will do the job nicely, preferably without becoming a victim of spam or being bombarded with ads. Besides that, create pdf online websites come and go as time goes by and by the time you need another pdf file, you might have forgotten where you went the last time you had to convert to pdf online. Especially if it’s only occasionally that you need to create a pdf file. And what’s more: many of the websites where you can convert to pdf online only offer a limited number of free conversions and require you to change to a paid plan if you need more conversions. A solid, reliable, always-present-when-you-need-it pdf creator tool on your pc, on the other hand, can be such a time-saver if you need to convert from Word to pdf. In fact, when you want to convert Word to pdf free, you still have multiple options, but it’s good to realize that some of them put a small advertisement in your pdf file, unless you take the paid option. One tool that’s absolutely free (without ads) is PdfCreator by PdfForge. You can download it for free and install it on your computer. What it does is this: during installation, PdfCreator will install an additional “printer” on your computer. You could call it a virtual printer, since there is no hardware that you need to hook up to your computer or where you need to load paper. There’s no hardware, but you will still be able to see the printer listed under the printers section on your computer. PdfForge’s PdfCreator is free and allows you to create pdf files free whenever you need, without limitation. There is, however, one thing you need to pay attention to when installing PdfCreator. During the setup wizard, you will see an offer to try “Vuupc” (a screen-sharing tool to connect remotely to another computer) and also “Pdf Architect”. Pdf Architect is a tool for editing a pdf file and it will also allow you to create pdf form files plus many other features such as secure and sign pdf files. While both “Vuupc” and Pdf Architect may both offer valuable benefits, the trial version of Pdf Architect requires you to activate it (and pay) if you want to use its features. 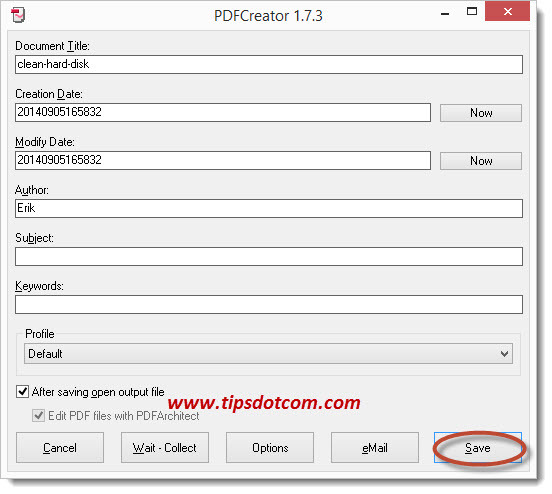 Since we were originally discussing here how to convert from Word to pdf *free*, I suggest you decline both trials and simply proceed with PdfCreator. 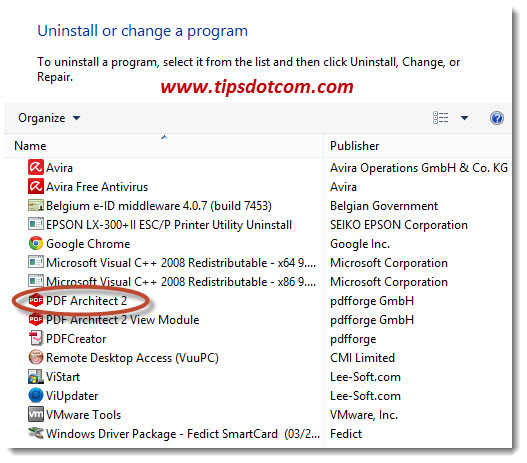 Should you still end up with Pdf Architect installed on your system, then the good news is that it nicely installs itself as a separate program and that you can cleanly remove it from the Windows programs and features control panel. If you select “Expert mode” during installation, PdfCreator will even allow you to set it up in “Server mode” so that you can create a network printer for all the computers in your network. Now, not only when you want to convert from Word to pdf, but also when you want to convert Excel to pdf or basically, convert a file to pdf, no matter what the type of file is, you simply open the file with its native application (Word, Excel, …) and print the file. The only difference is, instead of using your normal printer, you now select your “PDF Creator” printer and PdfCreator will come up and ask you where you want to save your resulting pdf file. 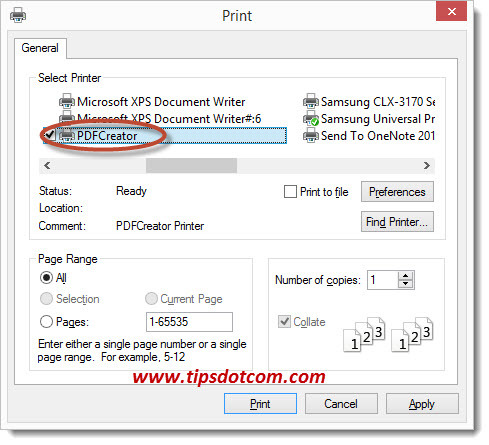 As soon as you click the "Print" button, PdfCreator will ask you where you want to save the resulting converted pdf file. That means that you can now convert a file to pdf, no matter what the original file format is. If you can print it, you can convert it to pdf.